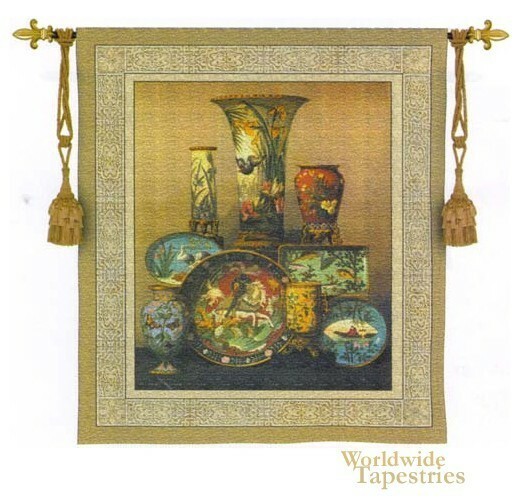 This Elkington tapestry wall hanging shows the work of Wilms. The still life before us shows gorgeously colored and designed vases, urns and plates. The wealth of color here produces a superb contrast with the beige background. A subtle border completes the work. This Elkington tapestry is backed with lining and tunnel for easy hanging. Note: tapestry rod and tassels, where pictured, are not included in the price. Dimensions: W 53" x H 60"